Lease 48 months, 7,500 miles per year with $3,000 TOTAL OUT OF POCKET with excellent credit. Lease 48 months, 7,500 miles per year with $5,500 TOTAL OUT OF POCKET with excellent credit. Lease 48 months, 7,500 miles per year with $4,300 TOTAL OUT OF POCKET with excellent credit. Lease 48 months, 7,500 miles with $4,300 TOTAL OUT OF POCKET with excellent credit. Volkswagen of Alamo Heights invites you to visit our fantastic VW dealership in San Antonio, TX. Our knowledgeable team members are ready to provide you with the competitive Volkswagen sales, service, parts, and accessories in the San Antonio area. 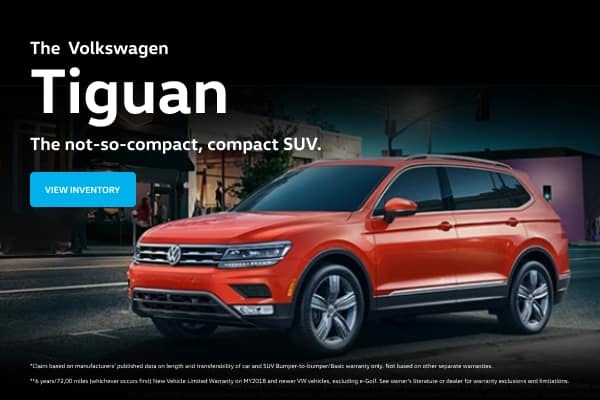 By taking a page from Volkswagen themselves, Volkswagen of Alamo Heights challenges many consumers’ perspectives of exactly what is the quintessential car-buying experience. When you visit Volkswagen of Alamo Heights, located at 1402 N.E. Loop 410 Expressway San Antonio, Texas, for complete car specs or to take a test drive, you’ll find we deliver car drivers in the Leon Valley, Live Oak and Schertz areas an extensive product lineup, deft service and auto repair, and perhaps most importantly – a one-of-a-kind mix of professionalism and approachability. That’s right. While we’re experts on every Volkswagen model, including the Jetta, Passat, Golf GTI, Tiguan and Beetle, and even the all new Golf Alltrack, we also have the ability to listen and talk about different autos in a language all different drivers can understand. In exploring the new Volkswagen inventory available at our San Antonio-area showroom, you’ll find everything from classic picks to new favorites, including the Jetta, Passat, Golf GTI, Tiguan, and Beetle. And while, you can do much of your pre-buy research online, Volkswagen of Alamo Heights, serving San Antonio, Leon Valley, Live Oak and Schertz is always happy to share specs, compare different models and present you with other options that might also suit your lifestyle. Our ultimate goal is for you to be satisfied with your decision for hundreds of thousands of miles to come. Of course, at Volkswagen of Alamo Heights, you’re not obligated to commit to new-car prices. We have carefully handpicked a truly reliable, like-new collection of used cars, made by Volkswagen as well as other best-selling brands, for people from as close as San Antonio and as far as Leon Valley, Live Oak and Schertz to enjoy. VW Parts, Service, Financing and more! Another thing that makes Volkswagen of Alamo Heights unique is that here, when someone has found the new or used Volkswagen that best suits their lifestyle and driving style, it doesn’t mean the fun part of buying a car is over. Our savvy team of car financing specialists have taken it upon themselves to rewrite that part of the classic car-buying story with a tenacious, take-care-of-their-own spirit (their own being you, the customer) by providing financing options on most car loans and Volkswagen lease rates. Here, the fun isn’t over until you say it is. Call (855) 389-7542 today for Volkswagen pricing, availability, service, parts, accessories and more!